They're taking to the streets again, this time aiming for a thousand men strong. The United Workers Party (UWP) is planning a Thousand Man March to bring "heightened attention" to the many ills it says are hurting Dominican society, The Sun can report. "The march is going to look at [the] electoral reform process, the state of the economy, jobs, jobs, jobs for the youth and the state of security on the island," UWP spokesman Nicholas George told The Sun. Fed up with the way the country is being run and peeved that it can hardly get a hearing in parliament, the opposition party believes its final option is to protest. So it has decided to adapt the Million Man March to the local situation, lowering its expectations considerably to a thousand. The Million Man March was a gathering en masse of black American men in Washington, D.C., on 16 October 1995, organized by the Nation of Islam leader Louis Farrakhan. It drew attendees from all over the United States for more than 12 hours of speeches calling on black men to take responsibility for improving themselves, their families and communities. Two decades later crowds rallied for 'justice or else' to mark the 20th anniversary of the march. 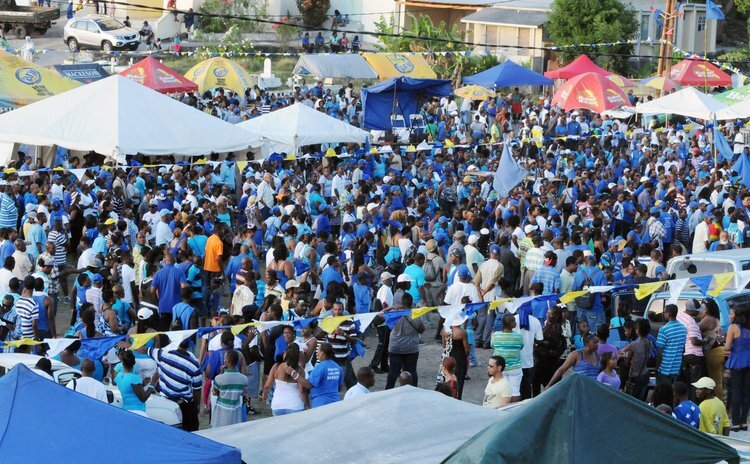 Asked whether the expected turnout of a thousand did not reflect a low bar, George was philosophical, saying all the UWP was seeking to do was to bring attention to what ails the country. It is for this reason he believes that a lower than desired turnout would not matter. "It is left to the population to decide [how much they are prepared to accept]. Is there a level of fear in the country that people will not come out? So do not blame the opposition if we highlight what it wrong but the intelligentsia do not play their part. "It's not a matter of setting the bar high, or higher, it's a matter of getting the message across so if there are ten people you continue with the march to get the message across. The determining factor, it is not for us to make a statement on that, it is a matter of getting the heightened attention on the issues," The Thousand Man March takes place on Thursday 28 July. It begins at Lindo Park at 4:30 and proceeds to Bath Road, Kennedy Avenue, Independence Street, Turkey Lane, Eugenia Charles Boulevard, King George V Street, Great George Street, back to Kennedy Avenue, before ending at Independence Street for a meeting at the old Dominica Trade Union building.